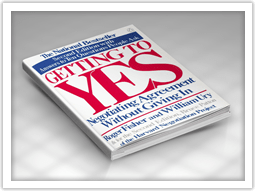 One of the best books I’ve read on the subject of negotiation is Getting To Yes by Roger Fisher and William Ury. They have gone on to write additional books and coordinated lectures on the topic, but for a quick read ( I think 150 pages or so) this book is the go to for negotiation. Negotiation is not just for the business setting. We are constantly negotiating with our coworkers, spouse, and children. Getting To Yes offers a variety of interesting tactics for optimizing your negotiation skills. Please note: This is not a paid advertisement. The book is a Bestseller, quick read, and highly educational! Looking for a business that you will enjoy? There’s nothing wrong with having a fun business. After all, having a fun business you don’t even know your working. Today we have 3 business ideas full of fun. Being a dance coach, providing bartending services, or making crafts may just be your next business venture. What the Business Does: Provides dance and/or cheerleading instructions to groups of girls at schools, churches, camps, or parks. This line of work caters to children and requires a lot of evening work to accommodate for children being in school. A dance coach can teach a particular area of expertise or hire others to help with other forms of dance. It may be ideal to set up shop in various places throughout the town to give yourself a full-time schedule each week. Skills Needed: dance/gymnastics/cheerleading experience. You don’t have to be a professional dancer to teach basic classes. Cons: When kids are out of school during the summer, many do not enroll in classes. Either take your vacation then or find another area like two-week summer day camp sessions. Parents do not want to commit to come for whole months when they know they will be taking vacations, etc. Additional Staff: none needed; potential to add other individuals to teach areas of dance you don’t want to. Setting Yourself Apart: great technique, show your love of the children, offer ways for the children to show off the skills they have learned with community parades, recitals, fairs, etc. Additional Services: Start with one area and expand to tumbling, cheerleading, modeling, make-up classes, and mommy and me classes to fill in the hours that kids are in school. What the Business Does: A bartender serves alcoholic and non-alcoholic to guests at events such as meetings, parties, and weddings. Bartenders can provide a service to people that purchase the drinks or provide the drinks as well. They usually work for an hourly rate. It is recommended to look at your state’s regulations. Some locales require a food handler’s license or training. Cons: You’ll be standing on your feet for long periods of time and dealing with intoxicated individuals. What the Business Does: This is another home-based business idea for people who work with their hands. You can use metal, plywood, or other multi media to create your items. Have you ever driven down the road and seen flags and signs with a cowboy or greeting on them? Look through the latest home décor magazines or specialize in custom name signs. The possibilities are endless. Take a trip to Hobby Lobby and you will see that there are many different ideas. Pick a niche and build a name for yourself. Startup Costs: $200-$800; depending in what type of items you wish to start with. You can always start with low-cost items and work your way up. What to Charge: Prices vary; be sure you are accounting for all your expenses and time. Equipment Needed: area to make your items and keep them clean until they sell; possibly a computer for online sales. If you are doing local craft fairs, etc. you will need a table and chairs or eventually a decorated booth. Skills Needed: Ability to make a quality product. Skills vary. But be sure the product is in good condition or it will be difficult to have return customers. Cons: Unhappy customers will want their money back; you may have to foot the bill for returned items. Setting Yourself Apart: provide quality items similar to store bought things. If they are not identical, make sure you make custom items. People want consistency each time they purchase. I look at mediation as a great opportunity for parents! Litigation can result in unhappy parents with an agreement one or both cannot live up to. For individuals with time constraints, changing schedules (I think this describes most people! ), and other people in their lives, mediation offers divorcing spouses the opportunity to customize the plans for their future. When individuals visualize mediation as a customized agreement as opposed to a cookie-cutter mandate imposed by a third party (the judge), parties start to appreciate the importance of the opportunity being given to them. Mediation allows the parties to maintain control over their future as well as how they will parent their child or children in the future. According to Wikipedia.com, micro-enterprise is defined as a small business employing nine or less individuals and having a balance sheet of a certain dollar amount. Investopedia’s definition of micro-enterprise agrees that less than ten employees, but adds that the business is started with a small amount of capital. Investopia.com also adds that micro-entrepreneurship usually operates in the goods and services sector focusing on local business. And Micro-Entrepreneurship for Dummies offers that many of these super-small enterprises are home-based and possibly use outsourcing. My personal definition is a super-small business with less than 10 people working day-to-day. I usually refer to them as micro-businesses. They are created with low start-up funds. A micro-business is usually home-based, but can and often expands to store front operations. The most important aspect of micro-business, is that the owners cannot always apply traditional, fundamental business practices to their organizations. Micro-business requires different skills, planning, and resources than a typical small business. I believe that this is a major factor in many of the failed businesses of the recent past. They used traditional business principles in their non-traditional business. Many aspects of a micro-business can be very successful with the application of some traditional ideas, however, micro-businesses are different in many facets. Large advertising campaigns and expensive marketing strategies are simply difficult for a micro-business to pull off, let alone continue to grow and succeed. According to an article published in Forbes Magazine January 16, 2015, 90% of Businesses Fail. The article was titled 90% of Businesses Fail: Here’s What You Need to Know About the 10%. It was written by Neil Patel and is very insightful. In addition, Erin Griffith wrote an article on business failure in Fortune, September 25, 2014 from the founder’s standpoint. The article includes a graph of the Top 20 Reasons Startups Fail. You can access that graph at: http://fortune.com/2014/09/25/why-startups-fail-according-to-their-founders/. I personally believe that more of these businesses can be saved, changed, or given new direction. It is important that micro-businesses use micro-business principles and recognize that many traditional business practices are deadly to super-small businesses. The cost of mediation varies by the amount of time required to resolve a dispute. Civil (business) and family (family, divorce, probate) mediation require different processes and use different procedures. We provide mediation services to small businesses and individuals within our community. Prices and processes vary by location and mediator throughout the United States. Be sure to contact a mediator in your area for specific details. At Liberty-Ellington Mediation, civil mediation usually entails one full-day session (6 hour mediation session with approximately 45 mins. for lunch). Commonly, civil mediation (business) involves one or two specific issues. The parties are often familiar with the process and have legal counsel present to protect their rights. Family mediation includes family disputes, divorce, and probate issues. This process often requires several shorter sessions over a longer period of time. Individuals may participate with or without counsel present. We recommend that each party consult an attorney before a final agreement is reached. These mediation sessions are scheduled in half-day blocks (3 hour mediation sessions) or full-day blocks (6 hour mediation session with approximately 45 mins. for lunch). Depending on the parties, approximately one to four sessions are necessary due to the various components of a potential resolution. Ultimately, our goal is to resolve the dispute. However, successful mediation in a timely manner depends a lot on the parties’ efforts to resolve the issues, coming to mediation prepared, and willingness to work together. We serve Russellville, Dardanelle, Danville, Clarksville, and Morrillton, Arkansas. Please call to inquire about our ability to travel to other locales. What Do I Need To Do To Prepare For Divorce Mediation? With the economy on an uptick and micro, home-based businesses growing, 3 super small, super simple service business ideas include Virtual Assistant, Proofreading and Editing Service, and Resume Writing. What the Business Does: Help small business owners who cannot justify a part-time or full-time employee with their administrative tasks. Ideal customers can be physicians, financial planners, or real estate brokers that need help with routine contact with customers, setting appointments, travel arrangements, researching a specific topic. Flexibility allows you to work from your office on your own schedule and take on as many clients as you want. Cons: Some clients may expect that if they are in the office so are you. Additional Services: Possible add-on services may include website design, online promoting, or taking calls when someone is out of the office for vacation. What the Business Does: Provide editing services to individuals, instructors, and businesses that have written materials such as newsletters, booklets, or manuscripts. Offer to proofread or edit a written product for potential publishing or printing. Most customers in this field come to you with a project they are working on that they simply haven’t gotten done. Others will have a finished project in its final stages. Focus on a niche you really enjoy such as how-to manuals, sci-fi, textbooks, etc. and be the first to read upcoming information and books. Cons: Sometimes clients want more than proofreading and editing. If those are your services, make sure you are clear what you are providing the client. Don’t spend too much time on customers that want the world for peanuts. What the Business Does: You work with people looking for a job that need assistance with preparing their resume for potential employment. You can provide the printing on quality paper, or give the client the file and have them print as they desire. Cons: Watch your time. Make sure that you understand what the client wants from the project. You must gather accurate, important information from the client to include in the resume. Mediation can be thought of as assisted negotiation. While the mediator helps the parties reach an agreement each is satisfied with, the mediator does not evaluate each sides view or determine who is right or wrong. A mediator does not determine the terms by which the parties will be held accountable. Mediation is a voluntary process. Individuals can discontinue the mediation process at any time. Mediation is collaborative in that each party must work together for mediation to be successful and no one party has a better standing or case than the other party. The mediation process is confidential. The mediator is an impartial, neutral party assisting the parties in coming to a mutual agreement. While the mediator does not offer legal advise, parties can participate in mediation with the assistance of legal counsel or communicate with legal counsel before making a final decision on an agreement. We are so excited to be starting this new venture. At age 19 or 20, I started my first business. I ultimately wanted to go to law school and at the time (many years ago) they did not have part-time programs. Most if not all law schools required that you not work for at least the first year of classes as the courses were very difficult and needed all of a person’s attention. As time went on I got married and had children. I worked on my bachelor’s degree with the intention of building a business that I could run part-time with workers doing most of the day-to-day work so I could go to law school and still provide for my family. To make a long story short, I went on to get my MBA focusing on creating businesses and helping others with their endeavors. I divorced and married again. I bought, sold, and gave away businesses throughout this time. Even though I enjoyed small business and what I was doing with women business owners throughout the U.S., I still felt a desire to go to law school. However, my reasons had changed. Originally, I wanted to put away the bad guys and make the world safer. Throughout my years in business I continued to run into small business owners that loved their businesses but didn’t necessarily understand their business. I enjoyed giving guidance and support to business owners , but I felt it was important to gain the legal knowledge. In 2012, I stopped all business activities and focused on my legal education full-time. So many small business owners start their businesses out of desire, or passion, or necessity. Unfortunately, many do not understand or know what they need to do to be successful. In 2016, I graduated from law school with new-found knowledge to help my fellow small business owners succeed in business today. While attending law school, I had the pleasure of studying with many very smart and interesting individuals. I enjoyed mediation seminar and felt that it was a great alternative to litigation. I believe that many individuals in our society have disagreements, whether those disagreements are in their personal or business life. I also believe that many of those problems can be resolved without suing the other party. Mediation allows people with a disagreement to come together and work the matter out without going to court. It promotes communication and continued relationships. I feel that mediation is a very important tool for business owners. Additionally, mediation is an important alternative to families in general that are needing dispute resolution. Hence, how we got to where we are now. I am so blessed to have work with small business owners throughout the years. I feel the need to continue helping others on their personal and business matters.